Affiliate Marketing may be a term you’ve heard in the past, but, you aren’t sure what it is. Or, if you understand what it is about, you feel that you do not want to pursue it as an income earning opportunity, because you think it is not something that works for your site. 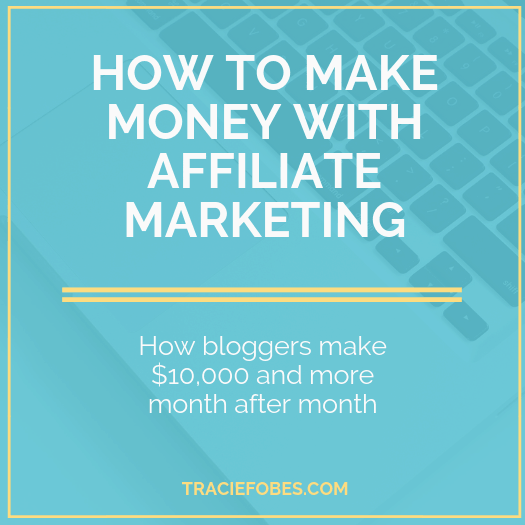 When most bloggers hear the phrase affiliate marketing they think it means being salesy and pushing your readers to buy your products. That’s not really how it works. When done effectively, affiliate marketing can bring in thousands of dollars a month to your site – all without you needing to actively promote or market yourself. That is the beauty of making money with this method – you can pretty much set it and forget it. You really make money even while you sleep! Affiliate marketing is when you earn commissions for promoting other people’s products. That may sound simple, but that is because it is. These are links you see everywhere and you click to see more and then buy. The site that had the link just made money off of your purchase. How easy is that? This is the #1 question most will have when it comes to affiliate marketing. I have seen people make as little as $50 a month and as much as $50,000 a month! Every penny of that income is derived from affiliate marketing. There is not a way to tell anyone how much they will make, because it varies from blog to blog. In fact, you could have two bloggers who have similar content, audience, and following and one may make 10x more than the other. Income from affiliate marketing does not happen overnight, but it can build up over time. It actually does not take much additional time to use affiliate marketing. The links for the affiliate partners end up being embedded into the post you write. Once the link is set, you are done. It adds just a bit more time when you type your post. HOW DO BLOGGERS DO THIS? The process is simple. You get special links from your partners. You add those to your article in a natural way. Check out this post – Six Simple Tips to Help Your Pins Go Viral. As you scroll through it, you see links that are pink. Those are affiliate links. But readers see them as additional information. They click, sign up and then I make money. That is the basic way you to incorporate affiliate marketing. One of the links you see is Social Warfare. In the post, I am talking about sharing content onto Pinterest and how this plugin can help. 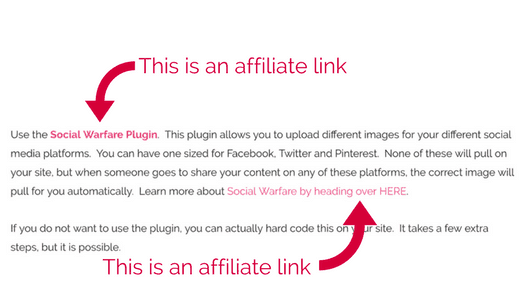 The thing is, when someone clicks on that link to learn about the plugin, it is actually an affiliate link. It appears just like any other link I would have on my site. The difference is that if someone happens to buy, then I can make a commission! Does it look obtrusive or as if it is “in your face” making you feel like I am forcing you to buy? Nope. Not at all. The link appears to be completely natural and organic. That is all there is to it! You link to products that fit into your post, using a trackable link for your site. These companies watch and as you make sales, you earn a commission! WHY SHOULD I USE AFFILIATE MARKETING? I can’t understand why bloggers would not want to do it. As you can see above, it can be very natural and work well into many blog posts. You have to write the post once and the link can continue to earn you money, without any effort on your part. It is one of the easiest ways to create a stream of passive income for your website. WHAT COMPANIES CAN I PROMOTE? There are literally thousands of companies that offer affiliate programs. To start, you will want to create accounts from the affiliate partnerships. Once your account is established, you can search for the partners on their site. While some affiliates will allow anyone to promote them, others require approval. They will be reviewing your site to make sure it is a fit for their brand. They may also want to make sure you’ve been blogging for a while or that you have the traffic that they want. If they feel you are a fit, they will approve you as a partner and you can start promoting them. Another way to find the affiliate program for the company you want to promote is to conduct an online search for the company name + affiliate. For example, if you want to promote Target, you could search for Target + affiliate program and would learn that they have a program on Impact Radius. You can usually apply right from the link that they send you to. IS THERE ANYTHING MORE I SHOULD KNOW UP FRONT? One thing that many people do not realize when it comes to affiliate marketing is the required disclosures. You have to inform readers that you use affiliate links and will make money if they buy. There is no way to get around this. 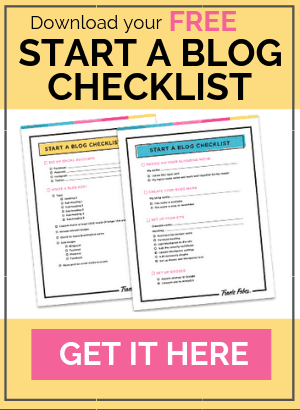 I recommend you review this post – The Disclosures You Must Have On Your Blog – to learn much more about this. You may also have to pay taxes on that income. You will need to check with the tax laws and a professional to learn more about this for your situation. WHAT ARE SOME SMART AFFILIATE MARKETING STRATEGIES? One mistake bloggers make is they drop a banner ad in their sidebar and think that will make them money. It won’t. In fact, that is one of the least effective methods of affiliate marketing. The idea, as mentioned above is to naturally incorporate links in your articles. Sometimes it is easy to do, such as when you are doing a review post. But, what are some other ways you can add in links without appearing salesy? As you get more readers to your site they will begin to trust you. That means they will listen and follow your recommendations. One way you can share those with them is by creating a recommendations page. That is a page filled with links to products and services you use and love. Check out the one I have on Penny Pinchin’ Mom. The reader sees this information as helpful, but the links are all to affiliate partners. If they click and buy or sign up – I make money. There are times when someone needs to learn how to do something. These are tutorial posts. You can either share the service and how to use it or even instructions for creating something. You can add in links for the service or the products you need to purchase to build what is being shared. I do this on my post about How to Add an Opt-In To Your Site. If you scroll down you will see me walk through readers through how to do this with different email providers. The email partner links are affiliates – but the post provides value. Another way to add links to your site that appear natural is through the interview. Bloggers often do this for courses they want to promote. They reach out to the owner and interview them. That provides value and answers questions for the reader about the service so they can decide if they want to sign up or not. I have a post about How to Become a Proofreader. It is a course for which I am an affiliate but I interviewed the creator to get detail to answer questions for my readers. It provides additional value and encourages people to sign up. A fun way to help your readers and use links is through the alternatives post. This is where you share a cheaper alternative for a product they love. For example, my readers on Penny Pinchin’ Mom all love Manga-Tiles – but not the price tag. I created a post for them sharing more affordable options to the expensive Magnatiles brand. It helps by providing them value and options – and I make money! 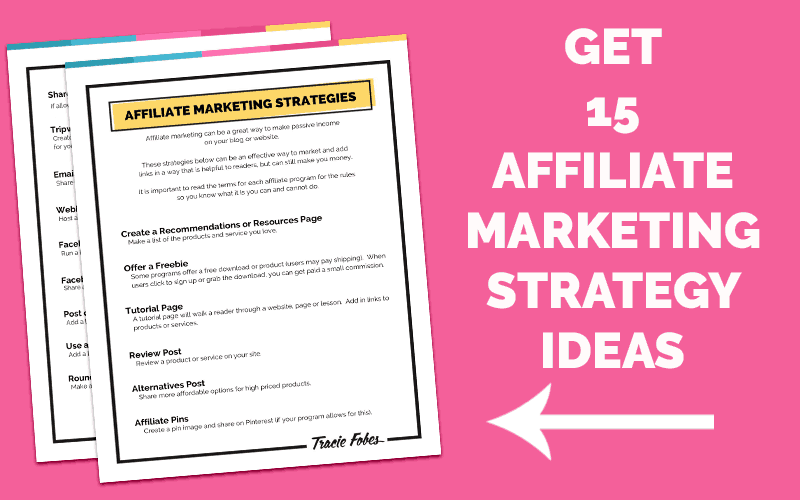 These are just a few ideas on how you can strategically use affiliate links in your articles. Make sure you grab this download to get even more ideas on how you can use these links in your articles! If you are truly interested in affiliate marketing, there is much more you need to know about it. It is more than I can even cover in just one blog post. I’ve given you a lot to get started, but this is the tip of the iceberg. 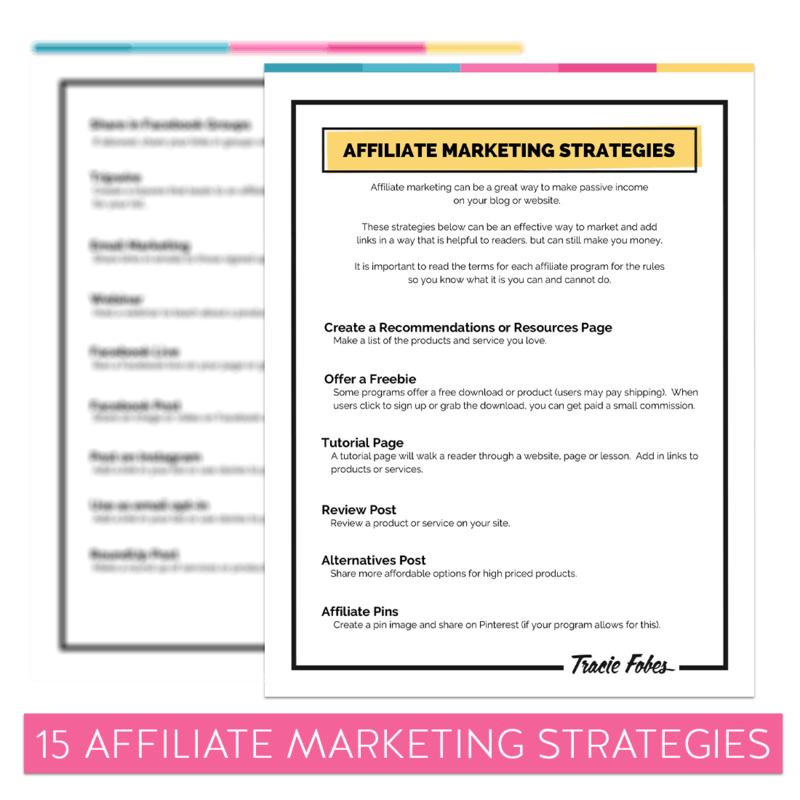 You will get more detail and learn even more ways to make money through Affiliate Blogging Roadmap. The great thing is that these strategies can work for just about any type of blog. You just need to get ideas an inspiration so you can add those links and start making money every day – without doing a thing! Tracie, Am very new to this world of writing, blogging. Friends and other people have been telling me about Google Adsense to star with. Is it true? 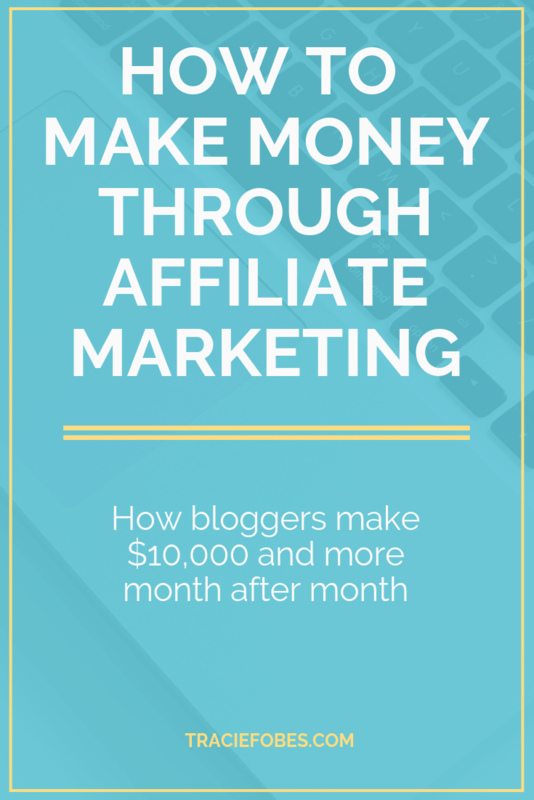 Also, can I use affiliate marketing while being on blogger? Hi there! Adsense is an ad network and it is a great starting platform for new bloggers. You can place links on your site that serve ads and then as those get impressions you will get paid. As far as affiliate marketing, you can use it on most platforms. You need to read the fine print in the terms, but from what I recall, it is perfectly acceptable to use affiliate marketing on Blogger. But again, you need to read the terms of service to know for certain. Thank you for your insight, Tracie. And truly disclosures are very essential. I see newer bloggers ignore the disclosure and while they do get away with this in closed forums like private FB groups, it can cause trouble down the road e.g. getting disabled on Pinterest completely.